It's not too often that I host giveaways here on the blog but I've got a special one here for reaching over 900 followers on Someone Like You last night! 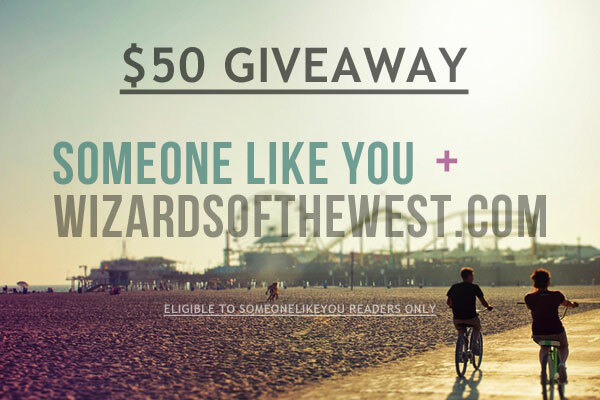 I'm so excited to be able to give away a $50 gift card to a darling online store called Wizards of the West. They have beautiful, quirky, vintage inspired pieces that will make your heart pitter patter. I can't get enough at their patterned dresses that have everything from music notes to swans on them. The writer in me gets giddy over the fact that they go above and beyond in their item descriptions, creating intricate stories for each one that have me itching to relive the story in the piece. Thank you all for being the most incredible readers; you make all of my dreams come true! GAHHH... these people are amazing. Teal Khaki pants. I could use some pants. I only have 1 pair.